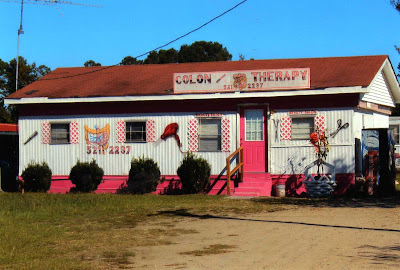 As if the "Colon Therapy" sign wasn't enough to get your business, this place also has a beauty salon. 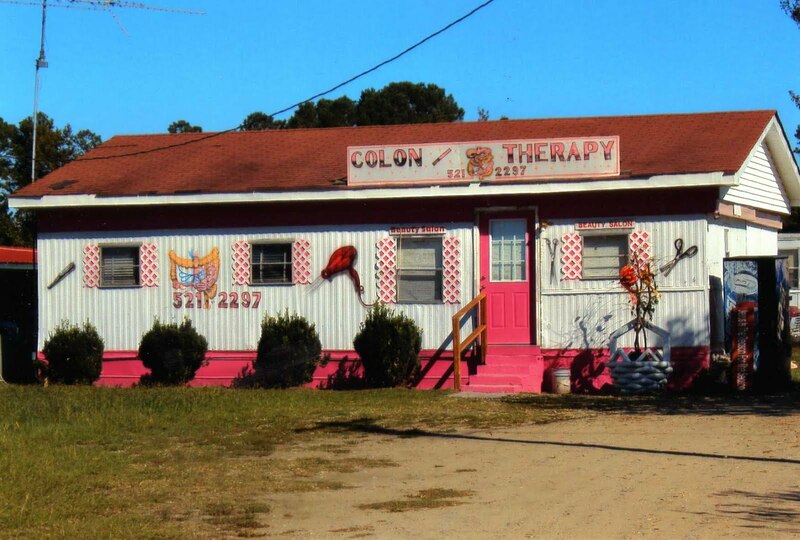 They make sure you look at both ends. Is it just me, or do the images of the hair dryer and the scissors in this context leave you a little uneasy? And what the hell is that thing on the left side of the building? What do you mean funny? Funny how?